In the heart of the Texas Hill Country, the town of Fredericksburg is a stone’s throw away from Austin and San Antonio. Despite its proximity to the big cities, it is popular because it maintains a small town feel while having lots of things to see and do. With its unique German heritage, thriving wineries, and shopping, it’s the perfect weekend getaway from just about anywhere. 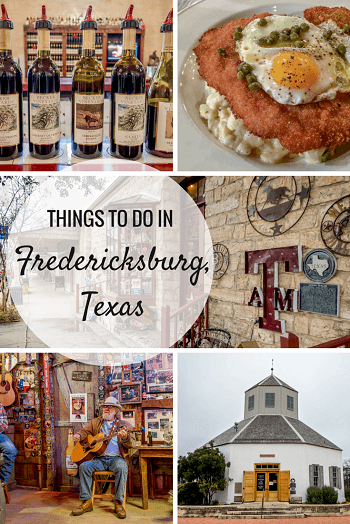 Here’s a look at some of the fun things to do in Fredericksburg, Texas, for a weekend (or longer!). Wondering where to stay in Fredericksburg? 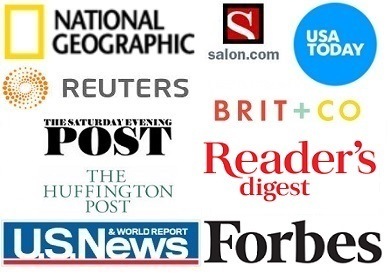 You’ll find more details about where to stay in Fredericksburg at the end of this article. Over the last decade, Texas Hill Country wineries have evolved significantly, gaining national attention in the media and winning more awards than ever. The live music, food, and generally fun atmosphere don’t hurt either. 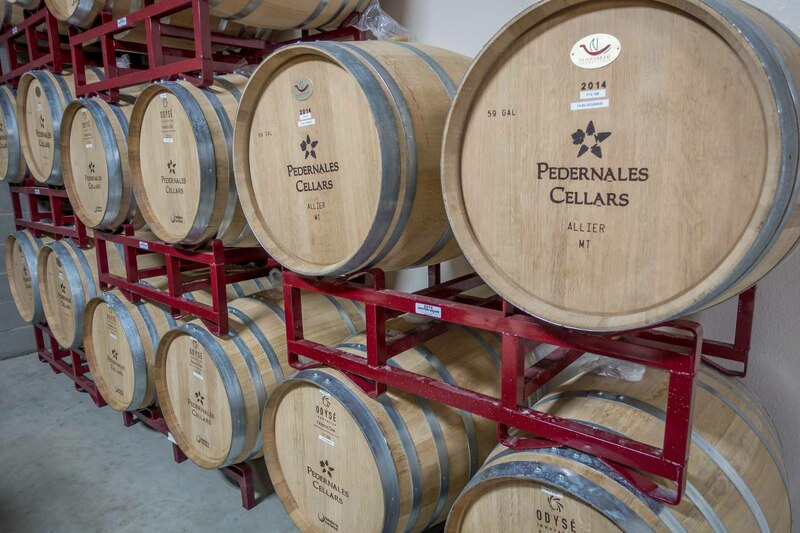 A 30-mile stretch of road from Fredericksburg to Johnson City, Texas, is home to more than 30 wineries and tasting rooms. Many of the wineries focus on grapes that grow well in the Mediterranean, so look for wines like Viognier, Albarino, Sangiovese, and Tempranillo. A trip to the Texas wineries is a great way to spend a weekend–with a designated driver, of course, or one of the area’s many chauffeured tours. There are new wineries all the time, so you can go back multiple times and always see (and try) something different. Wildseed Farms is like a playground for people who love the outdoors. In the spring, summer, and fall, its fields teem with flowers of every hue from the famous Texas bluebonnets to brilliant red standing cyprus. The wildflower farm has walking trails, butterfly gardens, and an endless number of photo opportunities. There is also a wide variety of plants, seeds, and food items for sale in the Farms’ shops. There’s so much to do here, and it’s one of the prettiest places to visit in Fredericksburg. So many things to buy! 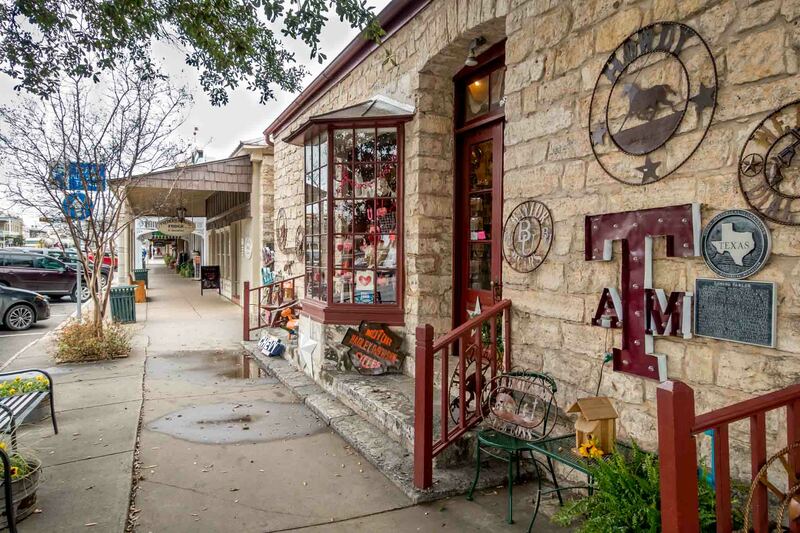 Shopping is undoubtedly one of the most popular things to do in Fredericksburg, Texas. The historic buildings along Main Street are home to over 100 shops selling pretty much anything you could be in the market for. 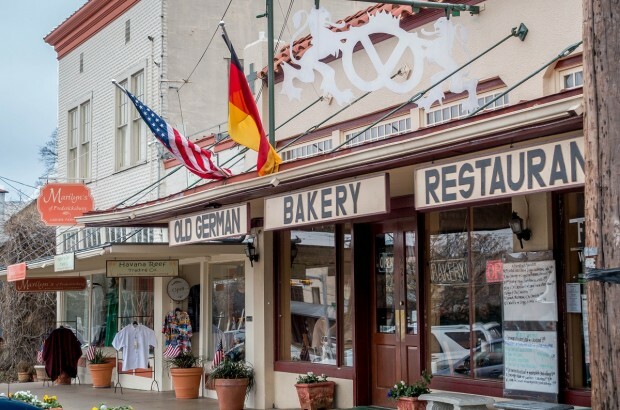 From antiques and art to clothes, musical instruments, candy, and home décor, the shops of Fredericksburg have you covered. There are almost no chains here, so the merchandise is unique and varied, meaning you’re sure to come home with something special from the Hill Country. When you’ve had your fill of shopping, there are lots of restaurants and wine tasting rooms where you can indulge while giving your feet a break. Want to visit Fredericksburg without driving? Check out these tours of Fredericksburg and top sites in the Hill Country from Austin or San Antonio. 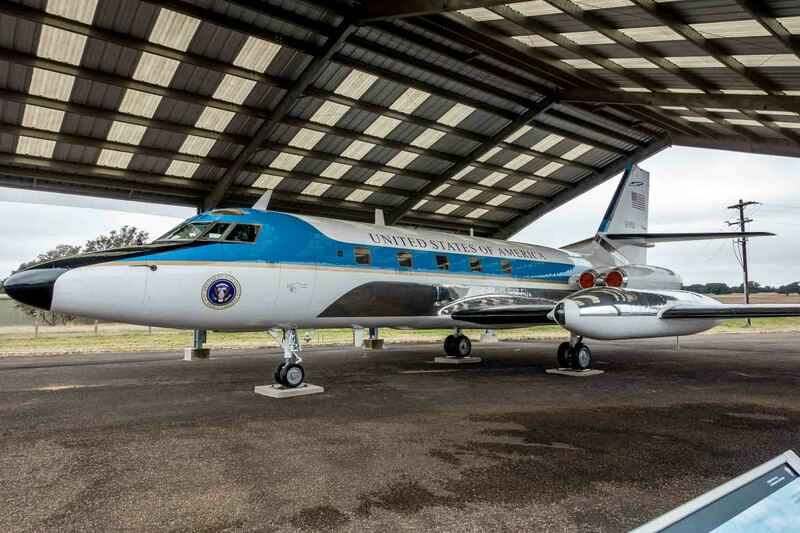 A short road trip away, two points of interest near Fredericksburg in Stonewall and Johnson City, Texas, allow visitors to take a step back into presidential history with a look at the life of Lyndon B. Johnson, the 36th president of the United States. The area around Fredericksburg produces 40 percent of the peaches in Texas. In the spring and summer, the orange gems hang heavy on the trees outside of town beckoning visitors to pick their own at the local orchards. There are lots of roadside stands where you can buy peaches and, of course, delicious peach ice cream, too. Grabbing a scoop is one of the most delicious ways to welcome summer in the Texas Hill Country. The German immigrants who settled Fredericksburg and other Texas towns in the 19th century tried to make their new places of worship feel like those they’d left behind in their homelands. They painted altars and arches with vibrant colors and designs reminiscent of the Gothic style they were used to, creating the Painted Churches of Texas. While other towns like Schulenburg have a cluster of churches, Fredericksburg has a beautiful example of the artwork in St. Mary’s Catholic Church. The work from the early 1900s features intricate stained glass, paintings of the Twelve Apostles, arch decorations, and a depiction of Jesus above the altar, making St. Mary’s sanctuary one of the more unique things to see in Fredericksburg. The Fredericksburg area is home to hundreds of B&Bs and guest houses. 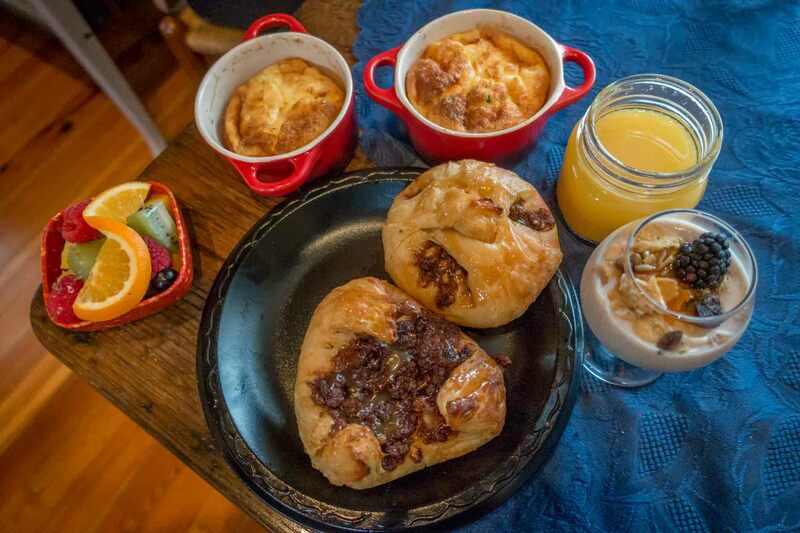 By staying in a bed and breakfast you can enjoy delicious breakfasts, personalized service, and a welcoming atmosphere a bit different from a hotel. Options in this B&B mecca range from upscale elegance to down home country comfort in line with what you’d expect in the heart of Texas. You can stay on the grounds of some of the wineries or even in a remodeled 19th century cabin. The options here are nearly endless. Luckenbach, Texas, 14 miles from Fredericksburg, is essentially a wide place in the road. 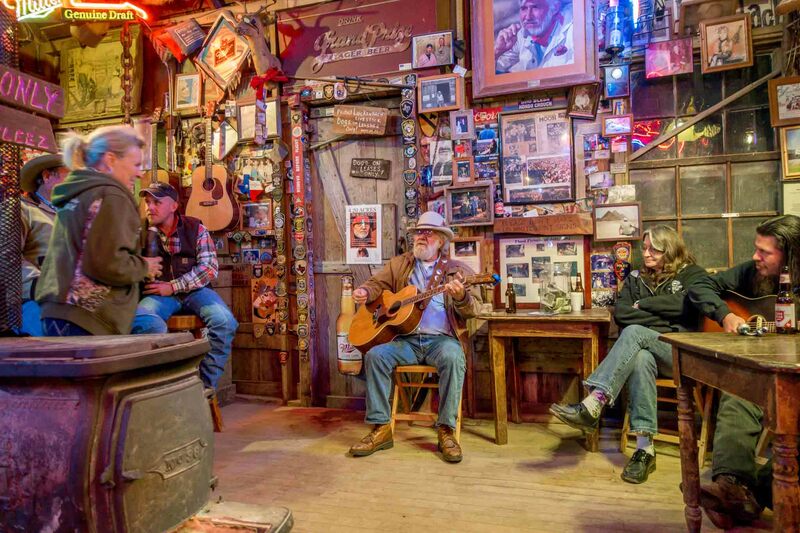 This two-building town–it only has a dance hall and the combination bar and general store–draws people from across the country and around the world to drink beer underneath the oak trees and listen to country music in the memorabilia-studded bar. There are daily informal performances at Luckenbach as well as concerts from country greats and festivals on the weekends. Here, there is a feeling that everyone is a regular – maybe even friends and family. Without a doubt, Luckenbach is one of the best places to visit near Fredericksburg. Just a few blocks off Main Street, Fredericksburg Herb Farm is a chic, rustic complex transformed out of an 1800s homestead. There is a gift shop, a lovely 5000-square foot day spa, and a fabulous bistro set among winding gardens and walking paths. You can stay on the property in the Sunday house cottages reminiscent of those used by the early settlers or just stop in as we did to shop and check out the beds of rosemary, roses, and other beautifully-scented things. In December 1848, the US Army established Fort Martin Scott as the first military post on the western frontier of Texas. On the outskirts of the newly-settled town of Fredericksburg, the Fort was designed to protect travelers and settlers in the area. As the frontier moved further west, the Fort’s purpose changed, but it continued to serve military and security aims through the Civil War. Visitors can see original and reconstructed buildings and learn about life and conflict along the frontier. Fredericksburg is full of restaurants and brew pubs serving food not typically found on this side of the Atlantic, and especially not in Texas. Influenced by the town’s heritage, German food options abound. Cuisine ranges from traditional sausage, pretzels, and apple strudel to more Texan interpretations like schnitzel with Monterey jack cheese and guacamole. Whatever your preference, there are lots of options for food and even more for beer. Founded by German immigrants in 1846, Fredericksburg (named after Prince Friedrich of Prussia) has a rich and distinctive history. A walking tour of the historic district features buildings constructed by the original settlers, some of which include exhibits showing what life was like in Texas in the mid-19th century. Visitors can learn about everything from the original settlers’ historic treaty with the Comanche Indians to religion and community on the frontier. From the moment we walked into the National Museum of the Pacific War, it was clear that this was no small-town museum. The in-depth exhibits bring to life the conflict in the Pacific Theater in painstaking detail with thousands of artifacts and heavy machinery of the type you would normally only expect in facilities like the Smithsonian. The three buildings of Fredericksburg’s Pacific War Museum include two traditional museums that focus on Admiral Nimitz and the battles of World War II in the Pacific along with the outdoor Pacific Combat Zone where reenactments bring the battles to life in front of your eyes. In the middle is a memorial and Japanese Garden of Peace that provides a moment of respite among the details of war. If you have even a passing interest in history and are wondering what to do in Fredericksburg, Texas, make sure the National Museum of the Pacific War is on your list. Seventeen miles north of Fredericksburg, Enchanted Rock State Natural Area is one of the most popular hiking and camping sites in Texas and one of the best attractions in the Hill Country. Native American tribes ascribed magical powers to the rock, hence its otherworldly name. The massive pink granite batholith and surrounding park attract 250,000 visitors a year for good reason—it boasts 2.5 square miles of land for rock climbing, backpacking, picnicking, and other outdoor activities. Whatever your plans, Enchanted Rock State Park is a great place for active pursuits or just relaxing in nature. A few miles outside of town in Hye, Texas, is one of the most popular distilleries in Texas. Garrison Brothers makes premium grain-to-glass bourbon on the ranch here, and they welcome visitors to sample their wares. Sign up for one of their weekly tours (they’re closed Monday and Tuesday) to learn about all the details of how they make their handcrafted spirits. After you’re finished with the tour and tasting, enjoy lounging for awhile. Das Peach Haus combines two of the best things about the Fredericksburg area in one place—food and the outdoors. Inside the store whose buildings date from the late 1800s and early 1900s, you’ll find just about every food product you never knew you needed from peach cider to their famous roasted raspberry chipotle sauce. And you can sample all of it on-site. There is also a wine tasting room that features pairing with Hill Country wines and a cooking school that offers regular classes in regional US specialties and international cuisines. 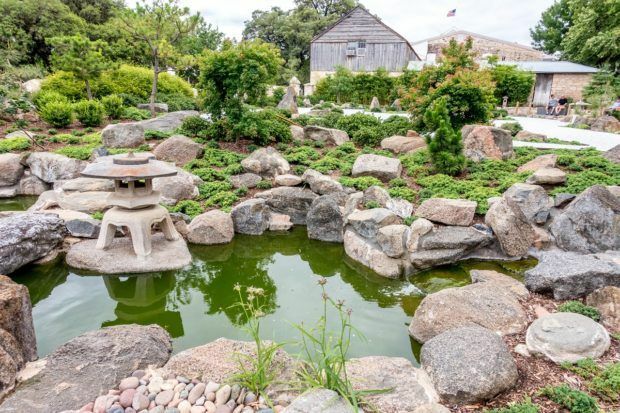 If that weren’t enough, just outside Das Peach Haus is what we loved most—views of the peach orchards, a handsome deck to relax on, and a gorgeous pond that’s open for fishing. Fredericksburg has more fun things to do than most cities five times its size. There seems to be a festival or event happening most weekends of the year regardless of the season. There are regular Trade Days, a lavender festival, and plenty of auto-focused events. And, of course, there are lots of food festivals from chili cookoffs to the crawfish fest and food truck festival. Two of the best times to visit are during events that celebrate the town’s unique German heritage—the annual Oktoberfest and during the Christmas holidays when there are parades, a Christmas market, concerts, and German decorations around town. Burger Burger–This casual restaurant with the repetitive name is one of our favorite places to eat in Fredericksburg. The burgers are great (with a name like this, they had better be), but they also offer salads, chicken wings, amazing milkshakes, and a handful of vegetarian options, too. 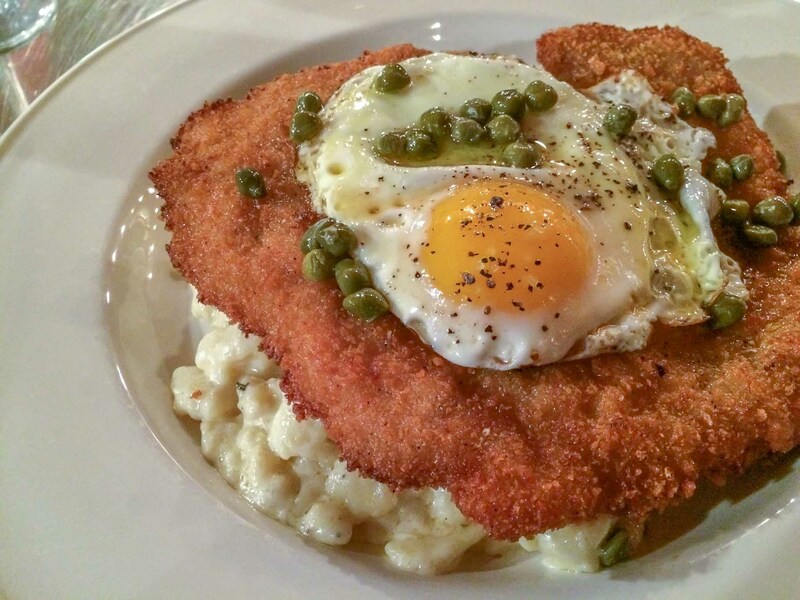 Otto’s German Bistro–Otto’s is a great option for dinner or Sunday brunch. They offer modern German specialties along with other types of European dishes on a menu that changes daily. The cocktails are loving crafted. Hondo’s on Main–This is the place to go for casual food, informal atmosphere, and live music. Hondo’s is a “self-help” restaurant. You order at the bar, pick your food up in the kitchen, and grab a seat near the stage. It’s almost impossible to leave without a smile on your face. Vineyard Trail Cottages — These 13 spacious cottages are well-positioned near several of the wineries on Wine Road 290. You can’t beat the peaceful setting. A Barn at the Quarry — Surrounded by the Texas Hill Country, you can stargaze and watch local wildlife from one of these five lovely suites. Relax in the hot tub at night or whenever the spirit moves you. What’s your favorite thing to do in Fredericksburg? 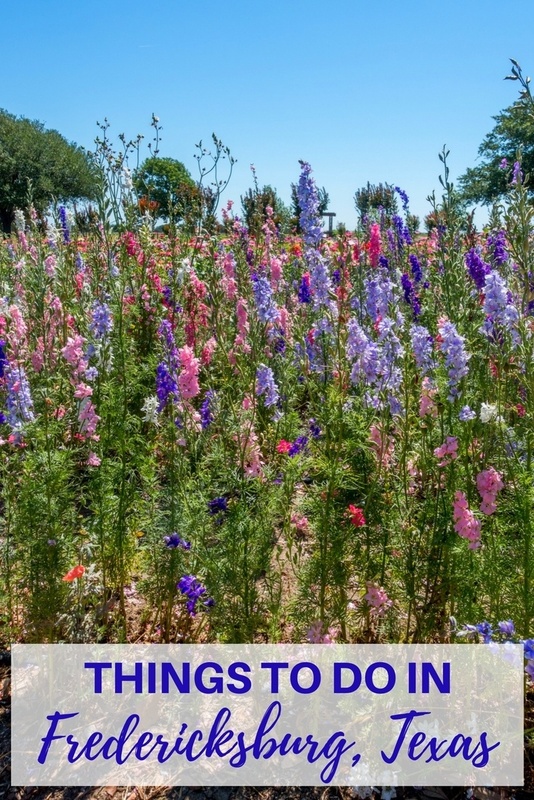 What do you think about 17 Great Ways to Spend a Weekend in Fredericksburg, Texas? Sunday Houses and Fisher & Weiser’s das Peach Haus…yumm. Yum! My next visit needs to be in the summer so I can try the peaches! OMG I want that schnitzel now! The more I read about this part of Texas, the more I’m realizing that I really need to take a trip there. Thanks, Pit. Glad you enjoyed it! Visiting the Texas Hill Country wineries is a must! There is a great bus that leaves from the Fredricksburg Visitor Center that will take you to 12 wineries along Wine Road 290 for only $20. It’s an excellent way to get a taste of the area. I have been to Fredricksburg SO many times in my life and my favorite places to go are: Java Ranch on Main Street – they have great coffee and their croissant breakfast sandwiches are really good, Fredricksburg Herb Farm – great place to buy candles, lotion and soap (my favorite scent there is the A+ Cross), Fredricksburg Brewing Company is one of my favorite restaurants on Main Street – the food is so good and they also have great beer, Silver Creek is an awesome outdoor restaurant during the day and at night – they have live music out there and it’s always a good time. Something you should definitely do if you are going to Fredricksburg is rent a cute little house out there – much better than staying in a hotel. (We stay in a house every time we go there and it makes all the difference.) The LBJ Ranch is also somewhere you should consider going – it’s a great part of history and it’s really really pretty out there. I went this past Christmas for the Christmas tree lighting they have there every year and it was really fun and unlike anything I had really experienced before. It was like living in a really small town and the whole community gathering there together to kick off Christmas! The last thing I would HIGHLY reccomend doing is hiking Enchanted Rock – it is so beautiful and a really fun way to do some outdoor activity. 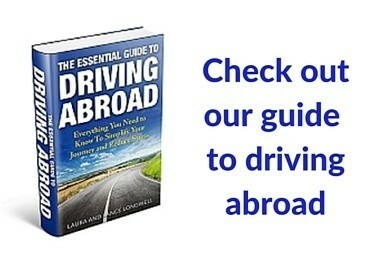 Where should we stay that’s inexpensive? You mentioned some cute little houses. Or even a small cabin or something. I agree with all of your choices, except for the Fredericksburg Brewing Company for food. Every time we’ve been there, one of us [one, not all] has been disappointed with their dish. Maybe I need to try again. It’s easy since we now are locals. Can’t believe you didn’t mention the National Museum of the Pacific War (and its George HW Bush Gallery) as a destination here. Truly a world-class museum telling new generations about the history that preserved our freedoms. In the summer, the museum’s volunteers even have living history reenactments portraying allied forces attacking a Japanese pillbox during WWII complete with a tank, lots of weapons and a working flamethrower. Lots of pyrotechnics and action to bring the story alive for everyone. So important and so well done, no one should miss it. The National Museum of the Pacific War is clearly included in the post, and there’s a link to it. Otto’s Bistro is not too much of a German cuisine, it’s rather French-like. Too much like that, in fact, for me. And for the other German restaurants here: don’t expect to get too much authentic German food there, especially not at The Lindenbaum. Being German and only having come over to Texas 7 years ago, I know the difference. What I also can’t understand is why the Old German Bakery, run by a native from Berlin, if I know correctly, doesn’t bake better bread [German style, not the mushy American], and not even any German “Broetchen” [breadrolls]. But other than that, the food there is good. I do like their pastry! All that may sound somewhat negative, but I still enjoy living here in “Fritztown”, especially because all of the cultural venues and events they offer, and can highly recommend it as a vacation destination. My favourite, though not quite inexpensive, would be Brigid’s Cottage [http://www.brigidscottage.com/]. Don’t forget that hidden gem, The Pioneer Museum at 325 West Main.